Monkey Grass Liriope Muscari is a herbaceous perennial native to Asia. 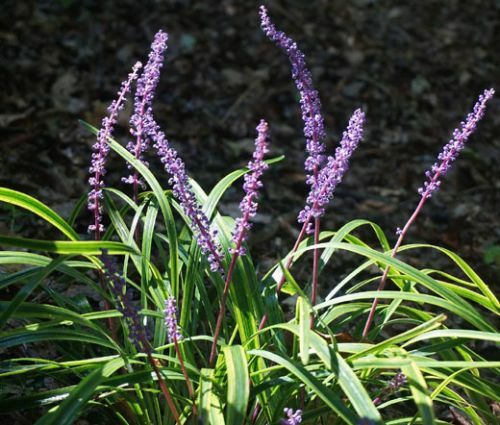 Monkey Grass seeds can be started indoors in early spring, and also commonly called Lilyturf, Blue Lilyturf, and Border Grass, Liriope Muscari is a tufted, tuberous-rooted, grass-like perennial with attractive evergreen foliage and upright, showy flower spikes of dense, violet-purple flowers that rise above the strap-like, arching, glossy, dark-green leaves in late summer. Monkey Grass makes a superb grassy ground cover for shaded areas of the landscape. When planted in mass Lilyturf is great as a ground cover or edging plant, but for accent small group planting is recommended. 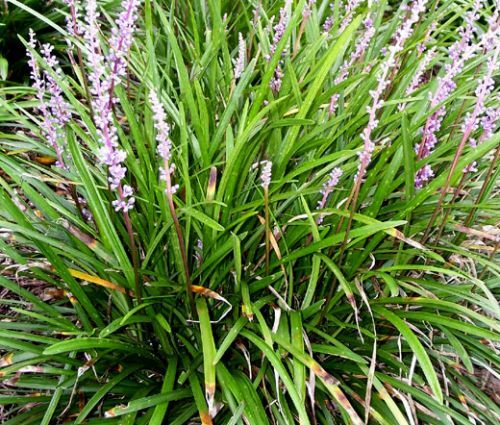 This ornamental grass is also popular choice for rock and woodland gardens, containers, edging for paths or walkways. Liriope Muscari seeds germinate faster if warm, moist stratification is applied prior sowing.